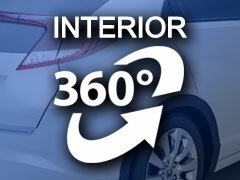 Are you ready to trade in that old car you’re tired of driving and step into a newer, upgraded vehicle? Your first challenge is to decide where to shop for used cars for sale near York PA. With so many used car dealers near York PA to choose between, it can be tough to determine which car lot will offer the broad selection of used cars for sale that you need. Of course, a wide inventory of used vehicles isn’t all you should be looking for - the right Ford dealer in your area will also have an experienced staff of friendly car experts who know how to make your car buying experience as pleasant as possible. Financing your next car is an important step in the buying process, so make sure you shop with a used car dealer near York PA that features a straightforward and quick financing process. Nobody likes waiting around the dealership for financing to come through, especially when you’re excited to take your new car home! If you think it will be impossible to find a car dealer in your area that meets all of this criteria, we’re here to show you otherwise. Bob Ruth Ford is your Pennsylvania destination for finding and buying used cars for sale. Plenty of dealers offer a wide inventory of used cars for sale in PA, but few can compete with our comprehensive selection and world-class customer service. Whether you’re in the market for a used Ford Fusion, a Ford F150 or something entirely different - we’ve got all sorts of suitable vehicles ready and waiting for you to take your pick! If you’re interested in finding a car that looks, runs and feels like new without paying new car prices, you’ll want to check out our excellent stock of York PA used cars for sale. At Bob Ruth Ford, we have years of experience helping to guide used car buyers toward reliable vehicles that satisfy all of their wants and needs. Some people may tell you that if you need a dependable car that will stand the test of time, your only option is to buy new. This is simply not the case! The proof is on display at Dutch’s Ford. When you buy a used car, you’ll want to know that you’re getting a vehicle that you can count on to provide you with reliable transportation for several years at least. This is exactly what you’ll find in our used car superstore. We’ve searched far and wide to bring our valued York PA customers an unbeatable stock of used vehicles. We carry hundreds of used cars from some of the most popular manufacturers in the nation. From the used Ford Fusion to spacious family SUVs, we have cars to suit all sorts of drivers. No matter your vehicle needs, we’re sure to have a range of options that will do the trick. When you’re looking to buy a used car, you need to choose between buying from a private seller and shopping with a trusted used car dealer near York PA. Buying privately can sometimes net you a good deal, but you’ll have to run the risk of getting a car that isn’t how it first seemed. When you shop with the friendly used car pros at Bob Ruth Ford, you won’t have to choose between quality and affordability! Our certified expert technicians meticulously inspect each car on our lot, so you can trust that you’re getting an outstanding deal on a car you’ll love to drive. How can we price our cars so low? We use the latest technology to do extensive market research on what prices other cars for sale in PA are being sold for. Then we list our cars to be the most competitive! It’s all part of what has made us the top choice among Pennsylvania car dealers. Of course, our low prices aren’t the only reason to buy from Bob Ruth Ford! We offer a fast and inclusive credit approval process, so you can secure the car loan you need no matter your credit situation! We regularly work with customers who have poor credit, no credit or who have recently gone through bankruptcy. Other dealers might turn you away if you’re in a rough financial spot, but that’s not how we do business at Bob Ruth Ford. To get started, you can apply for pre-approval online in minutes. We’re pleased to offer guaranteed credit approval, so you can shop with the confidence that comes from knowing that you qualify. Want to get a clear idea of how much you can expect to spend each month? Use our auto loan calculator to get an accurate estimate of your monthly payment. Bob Ruth Ford is the ideal Pennsylvania Ford dealer for finding and financing cheap used cars.